Swiss watchmaker, Alpina, introduced four new timepieces within their highly affordable Startimer Automatic collection this year at Baselworld. The Startimer collection is made of basic time and date watches, chronographs, and even a manufacture worldtimer. Some of the mechanical collection are powered by in-house movements and others by Sellita movements. 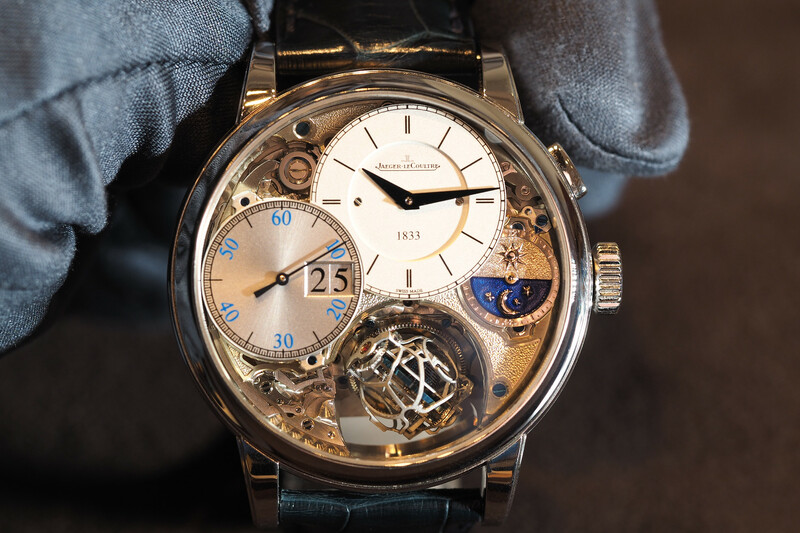 The timepieces we are discussing here are all powered by the latter, which crucially, is how the price is kept under $1000. Since 2011, when the entry-level Startimer Pilot Automatic collection was introduced, not a lot has changed. 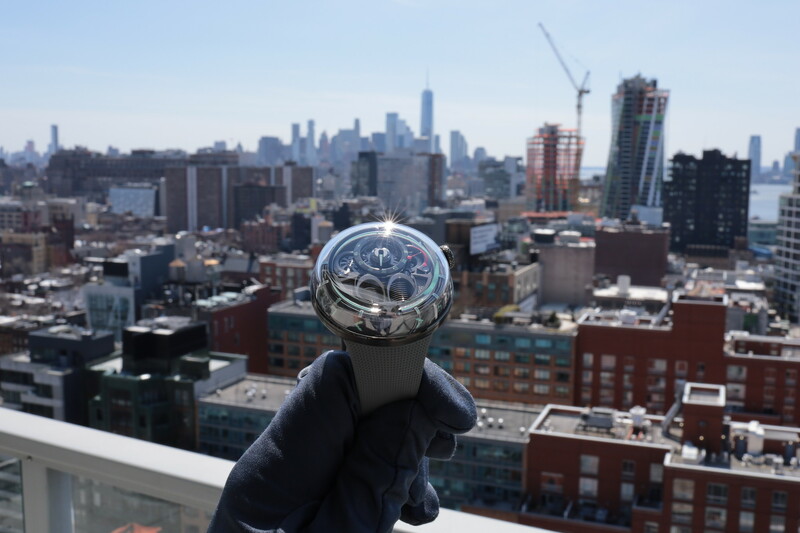 The dial received a slight makeover, with new steel hands (in place of white coated steel hands) and the case is still 44 mm in diameter, however, the thickness has gone from 10.2 mm to 10.7 mm. 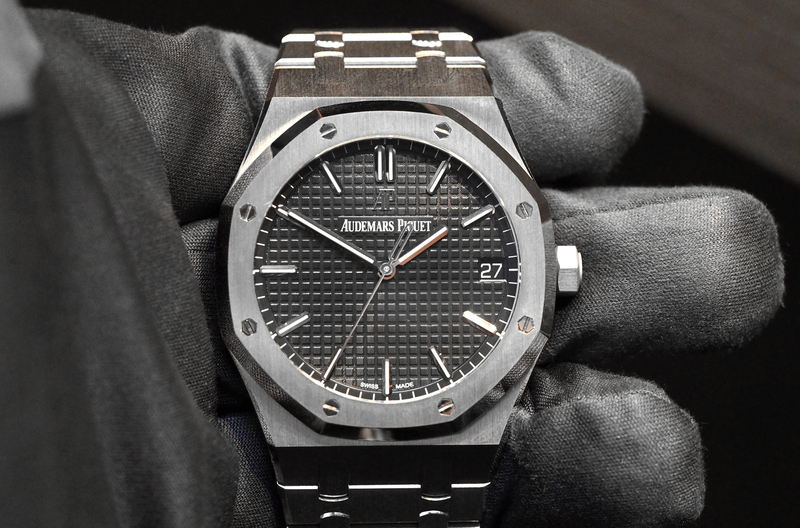 The automatic movement runs at 4Hz and has 38-hour power reserve. Water-resistance, thanks in part to the screw-in crown, is 100 meters. 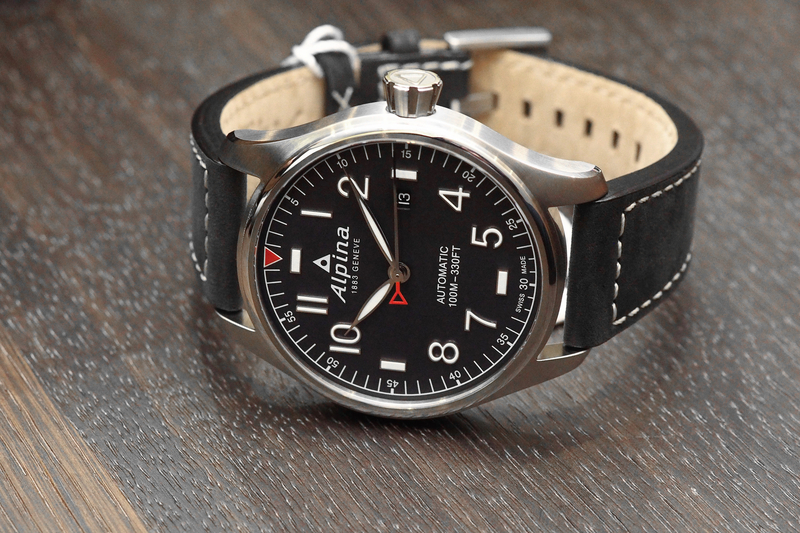 Depending on the model, a black or brown leather pilot style strap is included. Basically, Alpina’s accessibly priced Startimer, which is also the company’s most popular collection, has received a slight makeover. And if you want a quality mechanical Pilot watch, for under $1000, this is one of the best options available. The retail price is $850. Learn more at Alpina.